I seem to have unintentionally gone with a cream finish in this post, but if I’m honest it is my favourite and most worn. These shades will take you right from the end of Summer to the beginning of Autumn, as they’re the perfect everyday tones. Plus, the finish will be great on drier skin as the months get colder! My most picked shade has got to be Stila Convertible Colour in Lillium, as it’s the most beautiful soft dusty pink colour. I adore how fresh this makes skin look and the cream formula lasts well on my skin. You just have to dot it on and blend to create a natural finish which doubles up as a lip shade too – bonus! Next is Illamasqua Cream Blush in Rude, which is the perfect peachy tone. They describe it as a warm peach pink on the site, but I’d say it definitely leans more peach. It does warm up the face and would be perfect in Autumn with a golden eye look and orange lip. It creates a more dewy texture, but nothing too shiny or greasy plus you could always matte it down with powder if needed! Finally it’s the beautiful MAC Creamblend Blush in Posey. 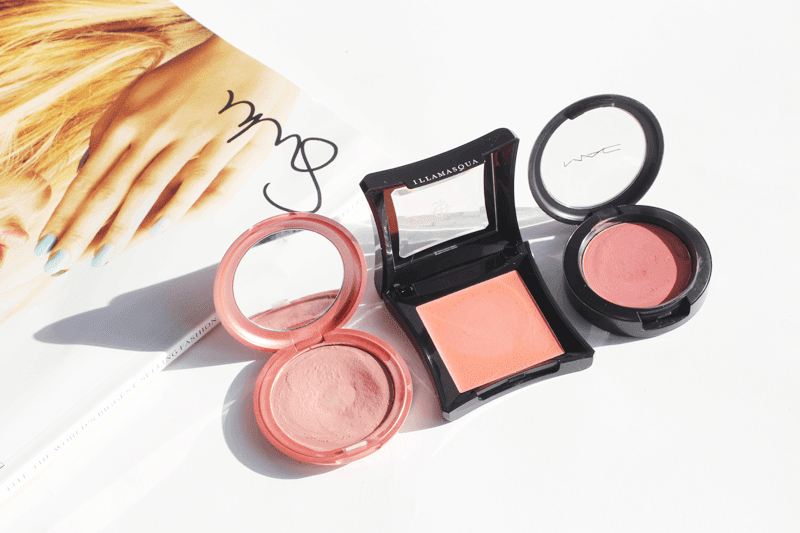 I really love MAC cream blushes as, although they don’t have a million colour options, the ones they do have are perfectly selected. Posey is a raspberry tone, which can be applied as strongly or as subtly as you like. It blends well and stays on the skin throughout the day, I honestly can’t fault it – plus it’ll be another great A/W shade with a berry lip! 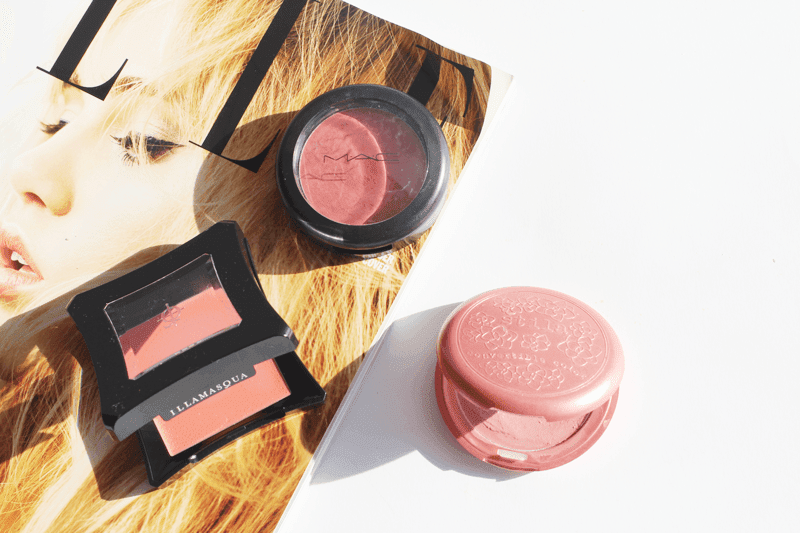 What blushes are you loving at the moment? Let me know! Don’t forget to check out my blog sale!